Denizli, a big province and the twenty-first most populous city of Turkey, center of textile products , homeland of a famous rooster which is protected by the state, the last church of the reveletion mentioned in the Bible as the Luke-warm church Laodecia, the wonderful travertines in Hierapolis known as “ Pamukkale - Cotton Castle) All over the world attracted millions of visitors each year, a research and univesity center in western Anatolia, a traditional town called Buldan used to be old textile center for Ottoman Janissary troops and the Topkapı Palace, about 12 well-known historical sites such as Hierapolis, Collossea and Trizepolis, on the way to become a spa and health center for the near future with its medical hospitals and beauty clinics is agateway or a crossroads between Aegean and Mediterrenean regions. This province has a rich variety of natural, cultural, historical and economical treasures that anyone can spend a great time without hesitation and it is really worth paying a visit to this nice province once a life time at least. Let tourmakerturkey.com fulfill your dream of travelling to Denizli. 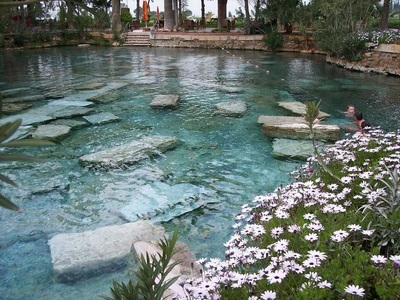 We offer half to full-day Denizli travel packages for you and your family. Check out Denizli’s cultural attractions with our tour guides. 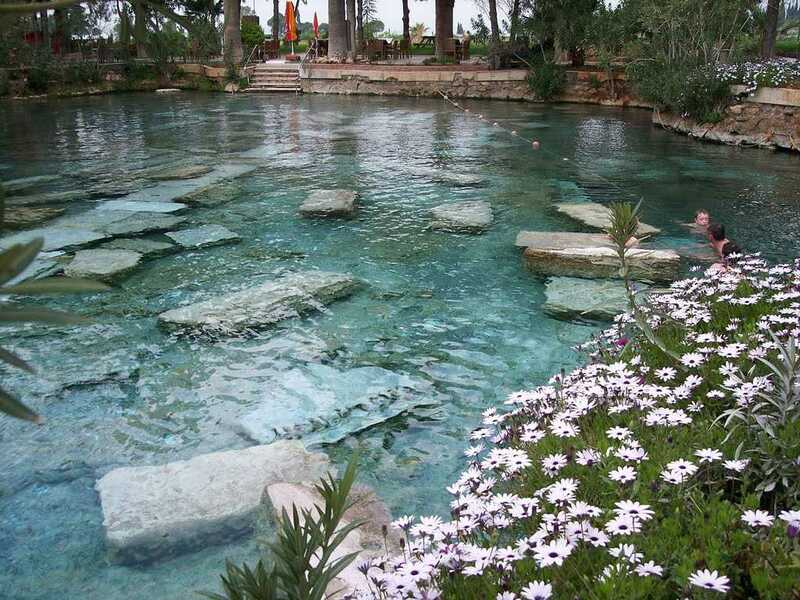 We also provide Pamukkale tour packages at the best value. And that’s not all. Our site contains essential information on Denizli that is worth reading. Denizli is located in the southeast of the Aegean region and the southwest of the Anatolian Peninsula and is a really gateway between Mediterrrenean – known as Turkish Riviera-and Aegean-known as old Ionia-regions. Denizli also has lands on both sides of the two regions. The city is bordered with Aydın and Manisa in the west, Mugla in the south and Usak in the north. It covers the area of 11,692 sq kms and the altitude is 427m. from sea-level. The city is established on the skirts of Babadag and surrounded with little meander river which waters all the plantations with its several branches and streams make the province very fertile. The old was “ Ladik “ and comes from the ancient city of Laodicea in which 7kms far away to the down twon. The name “ Ladik “ can be seen in all written historical sources. The city of Denizli was re established after the fights between Byzantine and Turkish troops in 11 th centuries AD. The famous Arab traveller named “ Ibn Batuta” told the name “ Tonguzlu “ in his book in 1333 AD so the name has been changed several times and since 1770 it has been known as Denizli. The first and most important settlements of the province is on Beyce sultan Tmulus on the way to Çivril dated 6000 BC. According to the sources, the first inhabitants were the Arzawans, fore fathers of Hittites, time between 1200-1700 BC and then the area became the Phrygian dominant after the Dark Ages in 800 BC. Xenophon tells us one of the most important settlements in the west of Phrygia was Colossea, called Honaz today. After the collapse of the Phrygians , region fell into the hands of the Lydians under the commander of King Coressos. Hellenistic time began with Alexander the great in 334 BC and after his death, one of his generals , Selekos I ruled the area for twenty years then the province became the part of the Pergamene kingdom and in 129 BC the city, especially Hierapolis and Laodicea became two important cities of Roman province of Asia. Laodecia became the rich city as the banking center and the city of purple dye with eye solve and Hierapolis became the spa center for Roman troops and aristocrat families. Rome also made big highways for safe trade. After the Roman Empire was split into two at the end of the 4th C AD, the area was ruled by the Eastern Roman empire called Byzantine and the glory was ended up in 7th and 8th centuries as the less populated small town. Arab raids began in 9th and 10th centuries . In 1040 Turkoman troops took over the city just after the Dandanakan battlefield and Turkish era began. Denizli and its surroundings changed hands between the Turks and the Byzantines until the end of the 12th century and finally when Seljuk Sultan Kaykhusraw I took over the throne of Selçuk Empire in 1207, passed into the hands of the Turks again. The Sultan permitted to settle about 200.000 Turkomen tents of the Nomadic Turkoman families down in and around the city. In Ottoman period was in 1360 first but Tamerlenk destroyed the Ottoman state at the battle of Ankara in 1402 and as a result the town was given back to Germiyanoglu principality. In 1429 the whole Germiyan land with Denizli passed into the hands of the Ottomans. The city had a chance to get developed in Ottoman period in 15th C AD due to the famous Turkish guilds founder called Ahi Evran came to Denizli and established a big guilds association here. Buldan has become the famous textile town for Ottoman Janissary troops as to make military uniforms and nice clothes and fabrics in looms and workbences have produced Buldan clothes for concibunes and Queen mothers for centuries. Denizli divided into three major states under Ottoman rule till 1920 and it became a province as Denizli in 1923 when Turkey was proclaimed as a new country. Denizli in between Aegean and Mediterrenean regions as crossroads so it is the under influence of two climate. In general , summers are hot and dry, winters are mild and rainy. Most rain and rarely snow can happen in December and January. The average annual number of rainy days are 80 days of the year. When you go further inland of the province in winter, the climate begins changing as to have coldest weather as snow in highlands so the province has so many ski centers in which are fully packed out by ski-lovers. In summer it is really hot in July and August so the sights are available for visitors and holiday makers. All of these climate data and conditions make Denizli worth visiting for both strangers and foreigners with its natural beauties. According to book of Revelation which was written by John the evangelist, the youngest among the twelve and the beloved deciple whom he promised to the Jesus to care for Mary’s life on the cross, there were seven churches at the end of the 1st C AD. 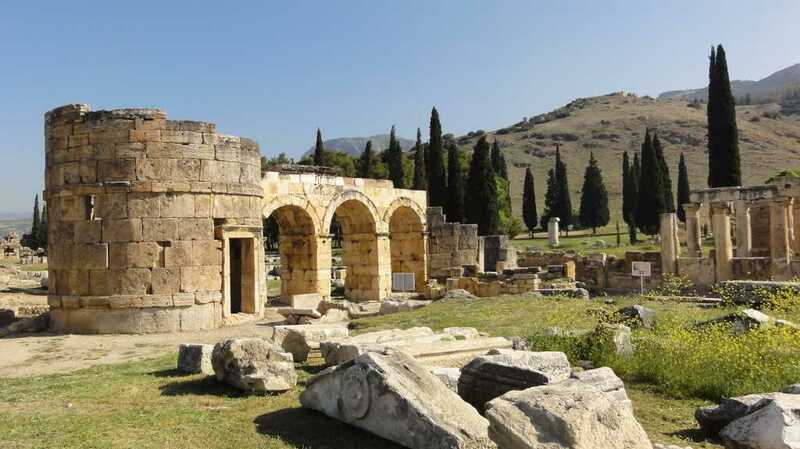 One of them called Laodicea is in Denizli province, just 7 kms far away from the north down town, was establihed by bank of river Lycos in a reasonable plateu in all points so the city of Laodicea used to become the banking centre of Roman province of Asia in antiquity. In the time of John , Laodicea was one of the richest cities in Asia Minor with the population about 150.000 that is why it was chosen to warn the church elders in order to become faithfull to the Christ. 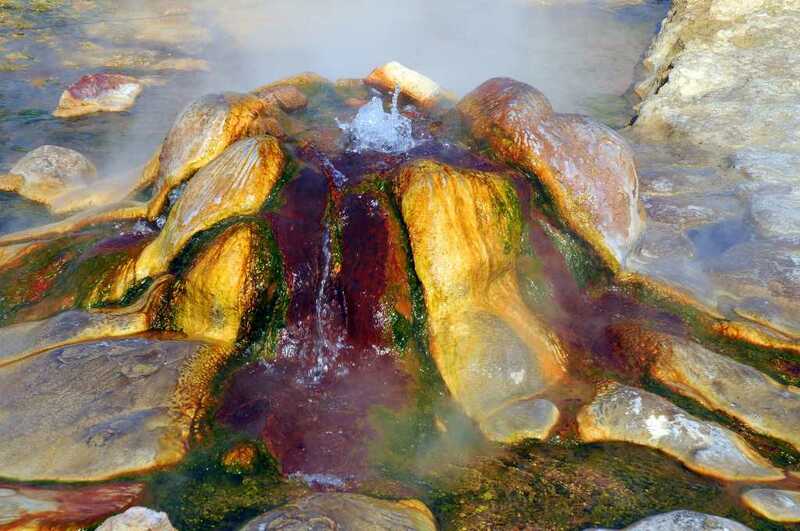 Denizli region has a numberless of historical and natural treasures such as Hierapolis known as Cotton Castle , Karahayıt as Thermal Spa Center of Turkey, Laodicea as the last church of the Bible, Colossea in which Paul sent a messanger to warn its people before John, Buldan as it was the fabric clothes of Janissary troops and painted mosques in later centuries. 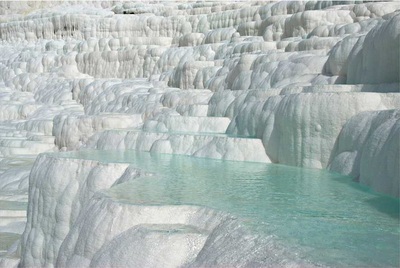 Pamukkale, which was formed from hot spring water, is a heavenly lime and the best-known natural phenomenon of Turkey. 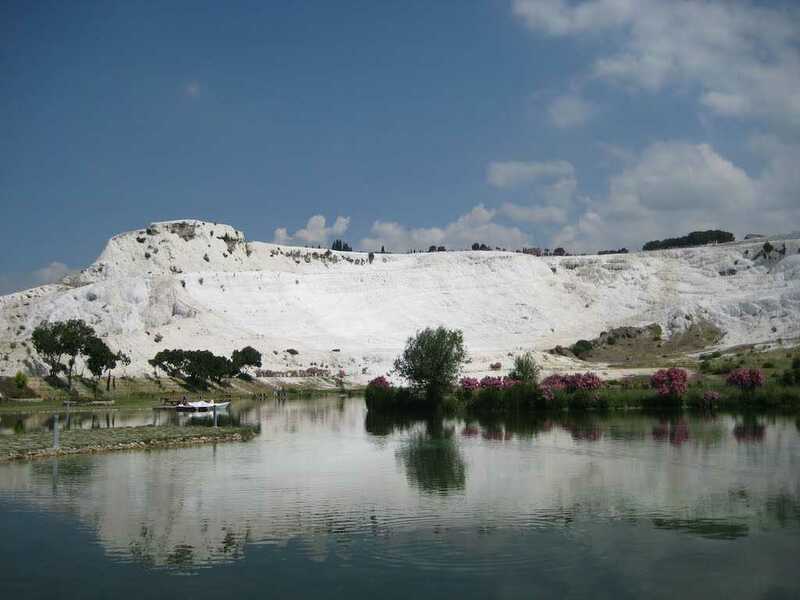 Over three million domestic and foreign tourists go to Pamukkale to see calcium oxide travertines per year. Pamukkale is 2,700 meters long and 160 meters in height and it can be visible even from a distance of 50 kms with a bright white color. 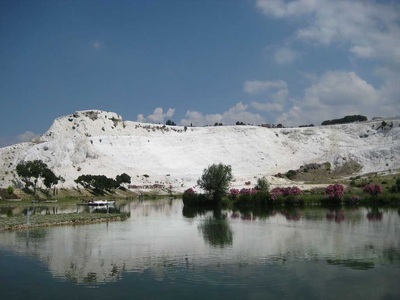 In addition to the travertines, an ancient pool, an amphitheater, an archaeological museum, a long ancient cemetery area with sarcophagus called necropolis, a Turkish bath are the places should be recommended to visit in Pamukkale location. On the hill, there used to be an ancient Roman sanctuary called Hiearpolis so the names cames from that area and it has become very famous city in history later. One of the seven churches of the Bible, as the last church known as the luke-warm in Reveletion Laodicea is situated in Denizli province. It is easier to reach and it takes only fifteen minutes by coach. Laodicea is noted all over the world by its splendid archeological site still under the excavations which is in the World Heritage Cities of Unicef’s list so millions of people pay a visit to Laodicea each year. On the other hand, Laodicea has become one of the holy destinations for church groups from all over the world in tours called on the footsteps of the Apostles in recent years. Church groups not only have a mass in Cross church but also walk in the ancient streets and see the amazing water pipe systems of the city in holy atmsophere. Colossea is about 3 miles far away from present Honaz and was established by Ionians by the bank of river Lycos in 3th C BC after Alexander the Great. The location of Colossea has changed several times due to the results of earthquakes happened here since it was established. 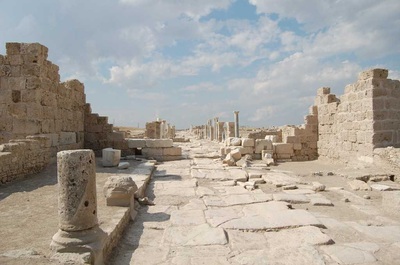 In the first century AD, Colossea became one of the reasonable stops for travellers and deciples to have a rest because Laodicea was close to the town. Paul had never been to Colossea but has sent a messanger to warn its people not to be like Laodiceans but faithfull to the Christ. Honaz today is noted for great mountain declared as National park by Turkish government with its endemic flowers and its fertile cherry farming. During the period of Selçuk Empire in 12 th C AD, Buldan was established instead of antique Roman city Trizepolis then later the town has become one the most important textile production centers in order to make towels, clothes and army uniforms later for Ottoman Janissaries. Ottoman Sultans also encoraged local enterprises to open some workshops in the town of Buldan and the clothes produced in Buldan have been sent to Topkapı Palace for Harem concubines and queen mothers for centuries. Buldan is still noted for as the textile center throughout Turkey. Denizli is full of the historical painted mosques which most of them were built in 18th and 19th centuries with wonderful wall decorations, painted praying niches and spledid pulpits and desks in woodwork. Each of them is work of art reflecting the desire of faith and feelings. We belive these painted mosque used to be Bektasi lodges where morality, patriotism, religion, humanity and positive sciences have been taught by derwishes in. The belivers whom they used to attend could carry the messages they were taught to the far remote corners of the region. Those Bektasi lodges have been turned into the mosgue with the addition of painted niches after all the tekkes and lodges had been strongly restricted by law .